Alexander's Automotive Ltd Offers Auto Repair Services You Can Count On! Since 1984, Alexander's Automotive Ltd has provided motorists in the Bensalem, PA 19020 area with comprehensive auto repair services that include Alignment, Brakes, Car & Truck Care, Domestic Cars & Trucks, Electrical Services, Electronic Services, Engine & Transmission, Engine Maintenance, General Services, Heating and Cooling Services, Import Cars & Trucks, Inspections and Emissions, Miscellaneous Services, Tires, Towing, Transmission Services and Undercar Services. Our goal is to offer the best services available at affordable prices to get you back on the road in no time. 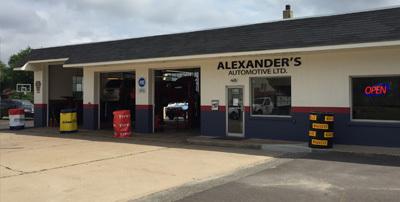 For a high-performing vehicle, trust Alexander's Automotive Ltd with your car, truck, or van. To learn more about the services we offer, please contact us by phone at 215-245-5056 or send us an email. We also invite you to learn more about our dedication to you, our valued customer. Great auto shop to go to. Very professional atmosphere as soon as you walk through the front door! I have been doing business with them for many years - since before they moved to their current location. They are the best and most honest mechanics with whom I have ever had the pleasure of doing business. If you need anything done this place is it! Brian, my mechanic, is AWESOME and they have a great waiting room with WiFi. Good People. The best mechanics in the Bensalem area. I've been doing business with them since 1990.